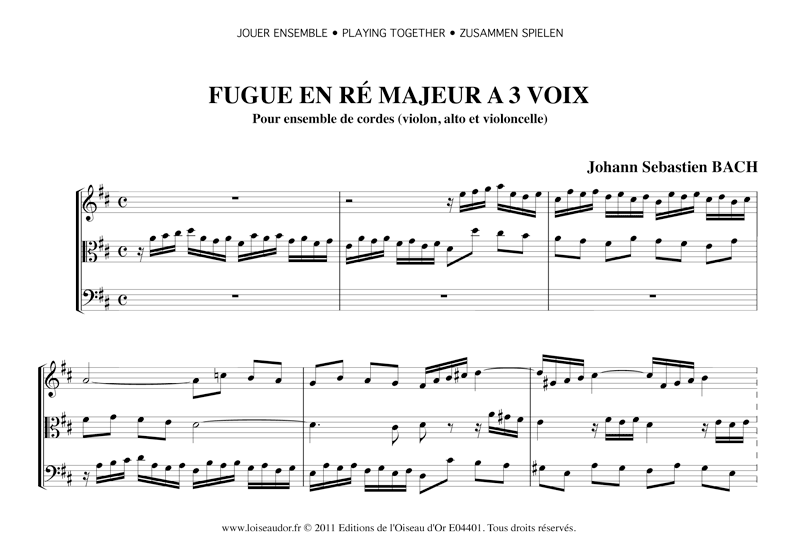 Through its very dynamic subject, the fugue presents an animated dialog in which the parts introduce a perfect balance. The digressions lead to more tightened and quite lively imitations. See also in the same collection the version with a second violin as second voice. 6 pages : the download includes the score (2 pages) and a separated part for each part (4 x 1 page).